I think I am having serious problems with gdm. Hopefully, somebody here can help me. Yesterday - removed all my video codec libraries via synaptic out of anger, with plans of reinstalling all of them today. Used system-config-display to change my display settings to a larger size. At the end of the day, restarted the computer, to make the display changes take effect, but went home before logging back in. /etc/X11/gdm/PreSession/Default: running /usr/bin/X11/sessreg -a -w /var/log/wtmp -u /var/run/utmp -x "/var/gdm/:0.Xservers" -h "" -l ":0" "lholcombe"
lholcombe is me, the pid is different each time I try this. If I log in as root, I get dumped into TWM (a nightmare that I am starting to get the hang of). I was able to use synaptic to reinstall all the video codecs I deleted yesterday. I was also able to run system-config-display and change my settings back to 1024x768 (and verify this with xorg.conf). However, none of these things seems to fix my problem. Interestingly, for the life of me, I cannot find ~/.xsession-errors anywhere, either in my own home or root's home. This is driving me nuts. Please help. According to some gdm documentation I am reading, there should be a file in /etc/X11/gdm called Xsessions. This file does not exist. Actually gdm is working because you are getting a graphical login prompt. What the behavior you are describing means is that it can not start your desktop environment (GNOME, KDE, etc). Do you have more than one desktop installed? If so try one of the others by clicking "Session" at the bottom of the graphical login screen. I suspect that you removed more than just video codecs. Too bad you don't have a list of what was removed. What you can do is press "ALT+F1" and log in on a virtual console (text console), log in as root, put the system in runlevel 3 by typing "init 3" and then type "startx" and see if you get any more information about why your desktop isn't starting. I think the above command got most everything need for a minimal gnome install but there may have been a couple of other things that slip my mind. P.S. That document you are reading must be for an older version of gdm/GNOME because I don't have that file either. Like I said, your gdm is working or you wouldn't have a graphical login. That's what gdm is. Last edited by Void Main on Fri May 13, 2005 5:17 pm, edited 1 time in total. Well, everything works now. I think what happened is that the gnome-session package got dropped somehow. Probably showed up in a list of the codecs I was deleting, and I just didn't catch it. Things are back to normal now. Why do such dumb things keep happening to me? Am I hopeless? One dumb little mistake, and my whole day was ruined. Well, perhaps not totally ruined, I did learn how to use TWM and learned a lot more about how gdm works than I ever wanted to know. But still, having the computer go down (for totally preventable reasons) makes me feel useless. 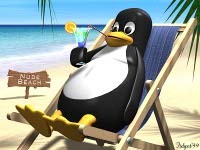 I wonder if I will ever truly feel like a Linux master. I had the same thing happen as in this link here. I don't like using synaptic for this very reason.